These are the show notes for a video episode. Check out the video episode on your handheld device or personal computer by subscribing to Airspeed using iTunes or your favorite other podcatcher. Or watch it right here by clicking above. It’s all free! Here it is! Airspeed’s biggest and best video episode so far! I’ve loved the Northrop T-38 for years. 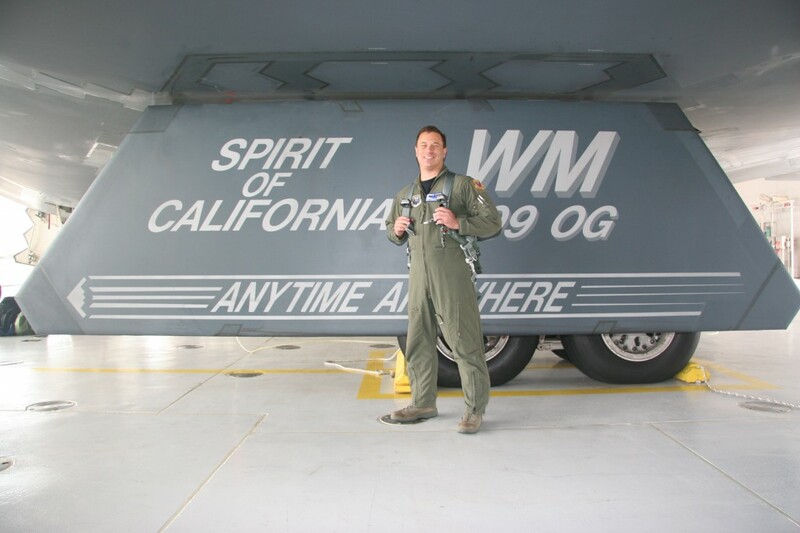 Born in the cauldron of the F-5 Freedom Fighter program in the late 1950s, it has since trained more than 50,000 military jet pilots throughout the world. It’s sleek and pointy and fast (Mach 1.3 capable). It’s the advanced jet trainer for the US Air Force. And it’s also the companion trainer for many of the Air Force’s most amazing aircraft. In July, I got an orientation flight with the 99th Reconnaissance Sqn, 9th Reconnaissance Wing at Beale AFB near Sacramento, California. 1.2 hours in the White Rocket. (Or, if you’re flying a “BB” tailed T-38, black and red.) It was a great experience. It has taken some time, but I think that it has been worth it. 49 minutes of JP-4-burning acceleration, pull, and float. 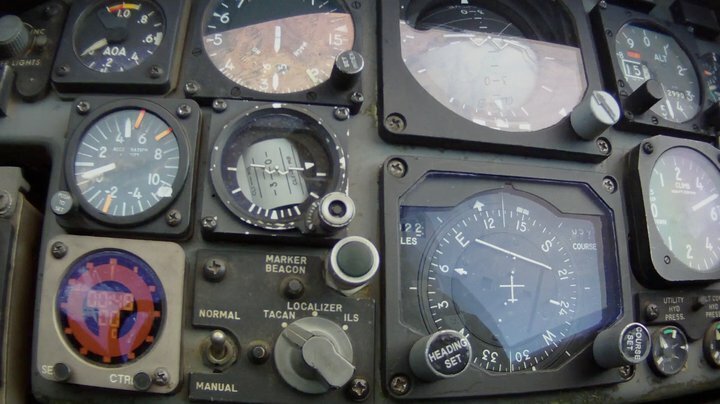 In true Airspeed style, the episode covers every angle and isn’t afraid to dig for the details that aviators and aviation enthusiasts love. From a tour of the ramp to see the U-2 Dragon Lady and the RQ-4 Global Hawk up close to egress and survival training to the briefing to highlights from the flight, it’s all here. And it’s all swaddled in original music. This is the first outing for Acro Groove, a track that’s going to be one of the major themes underlying Acro Camp. It’s by 7600, a loose-knit group of aviator musicians. In this particular incarnation, it’s FAA Designated Examiner Barry Sutton on drums, yours truly on guitar, and acro IP Don Weaver on keyboards. 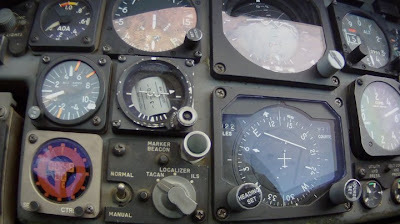 This episode is game-changing in aviation podcasting. There’s nothing else out there that comes close. I’m fiercely proud of this work. 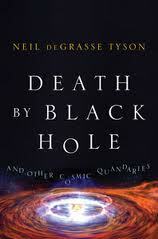 But, even so, it’s a waypoint on a journey that will include even bigger, better, and more exciting projects. Stay tuned! It only gets better from here. This is a regular blog post. If you’re looking for show notes or links to show audio or video, please check out the other entries. 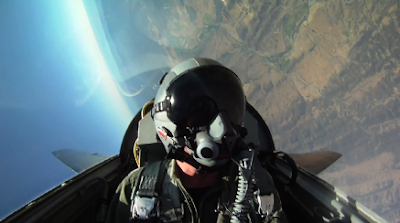 After getting the Acro Camp trailer ready to show at the Great Lakes International Aviation Conference on Saturday, I sat down to really crank on the episode covering my T-38A ride with the 9th Reconnaissance Wing at Beale AFB. All of the pieces other than the voiceover material is in the can and I’m going through all of the footage again to see where voiceover is necessary in order to help explain what’s happening on screen. And, of course, that means that I get frame grabs as I go to post here. The lead shot is an inverted moment out in the MOA. I didn’t have a chamber card, so we had to stay below FL 180. Given the elevation of the terrain, we couldn’t really get in a full loop, but the alternative maneuver was pretty cool regardless. Imagine a slashing loop that’s canted over 45 degrees. That presents a pretty sight out the window. Especially if you roll it at strategic moments like this one. Here’s a view of three of the cameras that I flew on the sortie. The primary camera is a GoPro HD Hero mounted on the grab handle. Behind it, clamped to the AOA indicator housing, ate two ContourHDs, one looking forward and the other looking 90 degrees left. 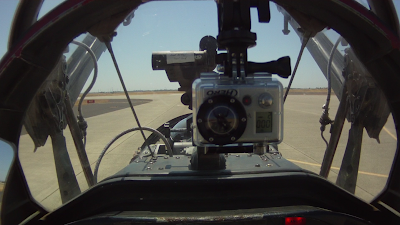 I also flew with a hand-held ContourHD so that I could shoot footage inside the cockpit. Like this, in fact. If you look straight down into your lap in the back of a Talon, here’s what you see. I’ve got my sectional strapped down so I can follow along for the route. 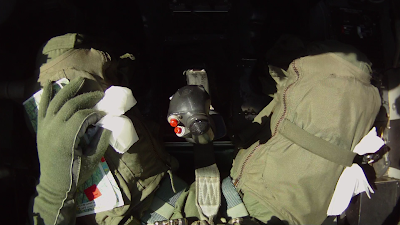 I also carry a couple of sic sacs, although I’m happy to say that I didn’t need either of them on this sortie. You get a pretty good idea of the ergonomics here. The stick is right there handy. There’s a T-handle on the panel just in front of the stick that moves the pedals fore and aft to give you the best distance. Obviously, the fact that you’re sitting in an ejection seat makes it more practical for the aircraft to have movable pedals than a movable seat. You can raise and lover it within an approx. 5-inch range, but that’s about it for the seat. Here’s one of my favorite shots. Inverted at 15,500 MSL and 280 KIAS. Clearly, this shot is post-G-ex. You can see that we’ve already pulled/pushed +4.7/-0.8. I think that the range for the whole sortie was +5.0/-1.0. I like the color in this one. This is just after launch on the first landing – a touch-and-go. We got a total of two takeoffs and two landings and I learned a lot about the sight picture in really pointy aircraft like the T-38. Something about a 160-KIAS short final really gets your attention. More editing to do this week. I have a couple of proposals to draft for some additional military flights and the T-38 episode is going to be a big part of those packages. I’m really pleased with the way it the footage looks and it’s a lot of fun turning this into a cogent story for you guys. Stay tuned for the full episode, coming soon to a handheld device near you! 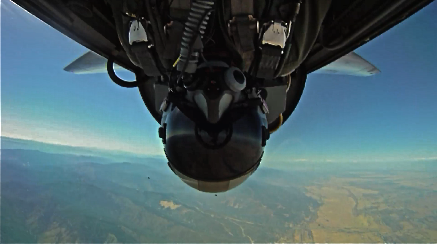 And now it’s time for the “do” phase of the T-38 egress training at Beale AFB. I climb in, strap in, and get a chance to demonstrate what I’ve learned. And ask a lot more questions! I’m planning to shoot some more commentary this weekend and then I’ll have all of the elements I need to get going on the final edit. Watch for the finished episode in October. 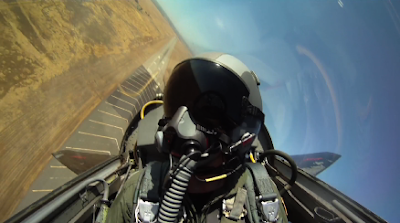 Here’s the second half of the “show” portion of the egress training for the T-38 ride at Beale AFB in July. I’m paying pretty close attention because the “do” portion – where I have to get in, strap in, and show that I can get out quickly – is coming up shortly. This is just the raw footage. I’m editing the episode and shooting some commentary and hoping to have the full episode ready to go in October. Stay tuned!